Same Day Teeth – All on Four – a fantastic solution for patients requiring removal of their remaining teeth, or an alternative to an already existing full denture. Sometimes no amount of clever dental treatment can save someone’s teeth in the short or medium term, and the decision that removal of the remaining upper or lower teeth is the only pragmatic option. Traditionally, the removal of teeth would often result in several visits to the dentist to make a provisional held denture to be inserted on the day the remaining teeth are extracted. Then extraction of the teeth and insertion of a denture which is a best guess fit, is often loose and uncomfortable. This denture is then modified and adjusted over a period of six months whilst the jaw bone heals and reshapes before a more permanent removable full denture is made, or progress to implant placement to secure a denture. A journey that usually takes 8-12 months. Our team at the old surgery are delighted to be able to offer a great alternative – same day teeth, a fixed implant retained set of teeth that will not come out, and all in one united treatment visit. Prior to treatment a CT scan is carried out to assess the jaw bone, to plan for the best placement of implants. On the day of treatment any remaining teeth are removed and Paul Swanson will place four or more dental implants in the positions determined by the CT scan. This takes roughly two to three hours and sedation is available if requested or required. Whilst recovering from the surgery, our Clinical Dental Technician (CDT) makes a custom made acrylic bridge which is screwed onto the four new implants usually mid-afternoon. So in one surgical treatment visit, you arrive with loose decayed or unsightly teeth and go home a few hours later with a securely fixed new smile. This initial acrylic plastic fixed bridge remains in place for six months, whilst the gums heal and the implants fully integrate into the jaw bone. Then a series of usually four visits are arranged, where the temporary acrylic bridge is exchanged for a final fixed bridge, supported in a sturdy titanium frame work, for longer stability and strength. The greatest advantage is that this can be done on a single day with the tooth extractions and implant placement avoiding the need to wear temporary dentures during the healing period. 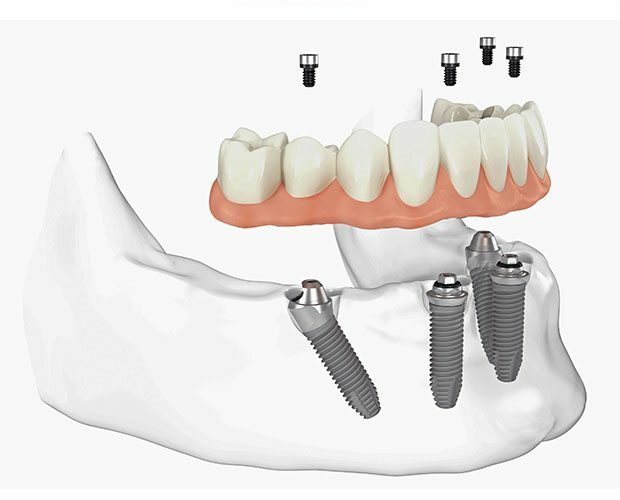 The teeth are fixed in with small titanium screws so no movement, rocking or embarrassing slipping normally associated with traditional immediate dentures. This treatment can be life changing for patients and in some cases make a dramatic improvement to their appearance. Please contact for more details note this treatment options is not available for patients who smoke, as the risk of implant failure is significantly increased by smoking. Provision of permanent bespoke bridge. Paul Swanson isn’t just any dental implant provider, he is a highly skilled, experienced dental implant surgeon whose aim is to provide you with the very best treatment and care available. Paul has a number of years experience in Implantology. He has received training from some of the world leaders in dental Implantology. 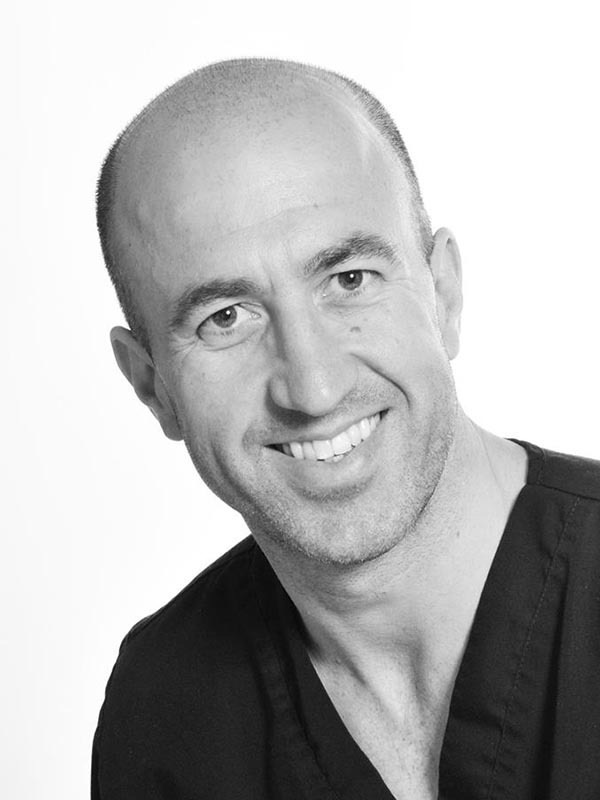 In 2003, Paul gained a Diploma in General Dental Practice from the Royal College of Surgeons, and also has further qualifications enabling him to provide sedation for nervous patients. He has also completed the Diploma in Dental Implantology run by the Royal College of Surgeons of England. This is the highest level of Implant training available in the U. K. and is a qualification held by literally less than 100 dentists. Paul accepts referrals from other practices in Cheshire and further afield, for implant dentistry, showing the high regard of which he is held by his fellow dentists as well as his patients, which we view as an amazing compliment from our colleagues. Interested in Same Day Teeth?